We have the most comfortable set of 4 kitchen chairs. After 20+ years of constant use, it was time to replace or re-upholster. 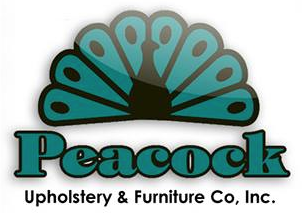 As we were unable to find replacements, we went to Peacock Upholstery. Stephen completely redid the cushions and the fabric almost cleans itself. Very high quality job. We are very satisfied and will return for future work. Steve is a perfectionist, which is what you want in an upholsterer. You won’t find higher quality or greater workmanship anywhere. Steve is an artist and a professional! You did such an amazing job on our bedroom set! Thank you! We appreciate it so much!